People expect more transparent, accessible and responsive services from the healthcare sector today. Meeting these expectations can be overwhelming. Any organisation can make do with incremental change—at least, for a while. But building for the future demands bold moves and tough decisions. Healthcare organisations need a trusted guide to help them transform how they serve consumers—one that brings new and innovative ideas every day. Healthcare organisations can rely on Accenture Health Management Consulting to help them tackle their most pressing challenges by combining deep industry knowledge, meaningful insights and broad capabilities. We work with healthcare organisations to help them solve top-of-mind challenges and seize exciting opportunities for change. • Work as a data-driven, consumer-centric organisation. • Deliver relevant, convenient and secure customer experiences. • Take advantage of the latest user experience principles. • Attract, engage and retain the right talent. • Build a right-skilled, digital workforce. • Develop a strong customer service culture. • Streamline how vital goods and services are acquired. • Create a fast, flexible and efficient supply chain. • Achieve results with strategic sourcing practices. • Measure, monitor and improve performance. • Evolve finance management capabilities. • Explore new ways of working with shared services models. Accenture Health Management Consulting is different because we know all aspects of this industry well. 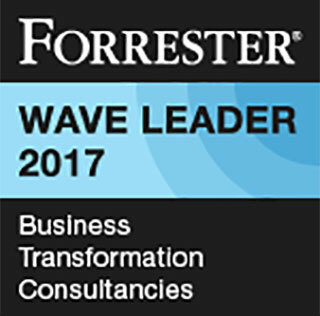 As a Forrester Research recognised leader amongst Business Transformation Consultancies, Q3 2017, we take on the most complex business and technology projects. Our healthcare experience runs the gamut—across all missions and functional areas, and both payer and provider. Business and technology. Our solutions draw on Accenture’s strengths in business, technology and operations strategy. Ideas and outcomes. We take a hands-on approach from concept development straight through to implementation so our clients realise outcomes. Innovation. We are passionate about harnessing innovation to tackle even the most complex issues, exploring how bold ideas, rich data insight and emerging technologies combine for breakthrough solutions. Trusted advisor approach. The extensive breadth and depth of our experience offers clients proven perspectives and peace of mind. Knowledge sharing. Our teams are backed by the resources, capabilities and perspectives of a global professional services company. Healthcare organisations are at a tipping point. They must meet new demands in a rapidly changing environment. Will they get there by making small changes? Or will they make bold moves to build the future of healthcare? One thing is certain, real change demands real transformation. We are proud to help healthcare organisations reinvent how they serve patients and members. Whether its delivering next-level customer service, building tomorrow’s workforce, streamlining processes or optimising the supply chain, driving business outcomes and restructuring the organisation, we can help. We combine deep industry knowledge with bold ideas to deliver outcomes that matter. Let’s build the future together—today.